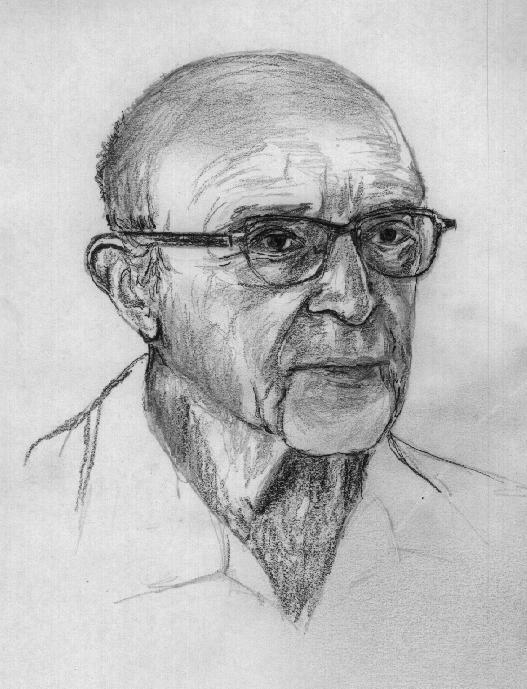 Carl Rogers was born January 8, 1902 in Oak Park, Illinois. Rogers founded client-centered psychotherapy and pioneered in the development of scientific methods for studying psychotherapeutic outcomes and processes. In 1942 Rogers became the first therapist to record and transcribe therapy sessions verbatim, a practice now standard. He published his ideas and clinical results in several books, including On Becomimg a Person (quoted at right) which made him a well-known figure in American psychology. Rogers taught at the University of Chicago and the University of Wisconsin at Madison. Rogers's client-centered therapy is among the most influential and widely employed techniques in modern U.S. clinical psychology. This is the type of therapy cliched by phrases such as "how do YOU feel about that?" from the psychologist. Bob Newhart, another Oak Park native, portrayed a Rogerian-style psychologist on the original "Bob Newhart Show". Carl Rogers died February 4, 1987. My experience is not authoritative because it is infallible. It is the basis of authority because it can always be checked in new primary ways. In this way its frequent error or fallibility is always open to correction. "Never overlook something that seems to be simple." ... this mistake is sometimes made concerning Carl Rogers and his work. Psychotherapeutic concepts such as "empathy," "reflection,""unconditional positive regard," and "self-actualization" seem so simple, even sugar-coated, that there's a tendency to overlook how profound they really are. In the hands of a master clinician, these ideas become an art that is as effective in exploring and healing the psyche as any therapeutic intervention. In fact, relatively recent approaches in psychoanalysis (e.g., self psychology, object relations theory) that emphasize the transformative impact of "empathy" and "mirroring" are really not that far from the humanistic notions about the ingredients necessary for self-actualization. In many respects, Rogers was a pioneering psychologist. ... Rogers plays an important historical role in the development of psychology and psychotherapy. He was one of the first, if not THE first, PSYCHOLOGIST to propose a comprehensive theory about psychotherapy. Prior to Rogers, almost all forms of therapy centered around psychiatry and psychoanalysis.